Napa Home Garden’s Fireburner Firepots, NAPAfire and FIREGEL pourable fuel gel products were the subject of an urgent recall in June 2011, after dozens of fires and serious second- and third-degree burns injuries resulted from exploding fuel gel firepots. 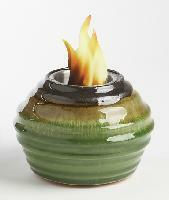 The recalled pourable fuel gel was used with Napa Home Garden’s “Firelites” Fireburner Firepots. The NAPAfire and FIREGEL pourable fuel gel can ignite unexpectedly and splatter onto people and objects nearby when it is poured into a firepot that is still burning. At Alonso Krangle LLP, our personal injury lawyers have extensive experience fighting for the rights of people injured by defective products. We are currently offering free lawsuit evaluations to anyone who sustained a serious burn injury due to an exploding fuel gel fire pot marketed by Napa Home Garden. If you or someone you love suffered a serious second or third degree burn injury because of an explosion or fire started by a Napa Home Garden firepot, please contact the personal injury lawyers at Alonso Krangle LLP today to learn more about the legal options available to you. In June 2011, Georgia-based Napa Home and Garden issued a precautionary hold on sales of its gel fire pots and pourable gel fuel for gel fire pots in response to reports of serious burn injuries. Weeks later, the Consumer Products Safety Commission (CPSC) announced an official recall of Napa Home Garden’s NAPAfire and FIREGEL pourable fuel gel just weeks later, after receiving 37 reports of incidents, including 23 burn injuries to consumers. Consumers were instructed to stop using the pourable fuel gels and gel fire pots immediately, and return them to the retailer were they were purchased for a refund. Burn injuries can occur if a consumer does not see the flame or is not aware that the gel fire pots is still ignited and pours the fuel gel into the device. Fuel gel that splatters and ignites can pose fire and burn risks to consumers. The recalled product is a clear, pourable gel fuel packaged in clear one-quart plastic bottles and one-gallon plastic jugs and sold in non-scented and citronella scents. The fuel is poured into a stainless steel cup in the center of Napa Home Garden gel fire pots or other decorative lighting devices and ignited. Napa Home Garden sold the recalled fuel gel and gel fire pots at Bath Beyond, Shopko, Restoration Hardware, specialty and gift shops, furniture stores, and home and garden stores nationwide, as well as through Amazon.com, home and garden catalogs, and home decorators and landscape architects between December 2009 and June 2011 for between $5 and $78. If you or a loved one were seriously injured by a Napa Home Garden exploding gel fire pots while using NAPAfire or FIREGEL pourable fuel gel, you may be able to file a gel fire pots lawsuit to obtain compensation for medical bills, pain and suffering, and other damages. To learn more about the legal options available to you, please contact the product liability lawyers today at Alonso Krangle LLP by filling out our online form or calling 1-888-836-3050.